I was brought up with the Catholic faith and practised it during my childhood. I went to church every Sunday until I was 16. I was baptised as a baby, took my First Holy Communion at the age of 8 and was Confirmed at the age of 14. I went to Catholic schools and even a Catholic sixth form college. Though, as a teenager, I did start to look into other religions and religious practises. Religion has always fascinated me. When I was 18 years old I met my husband. He was the first Muslim I met who seemed to care about his religion. I had a few Muslim friends at college, but they were not practising. When I met my husband, I started to become interested in Islam and began to research it. We married 18 months later and I became a Muslim, Alhamdulillah. Of course, I converted to Islam out of my own free will. Over the 18 months prior to our wedding, I had spent much time with Muslims and researched the religion of Islam thoroughly. I liked what I saw and read so becoming Muslim seemed like the right thing to do and I have not looked back since. My family were not too happy with my decision, as you can imagine. My parents are still practising Catholics attending church every week, although my siblings do not. It can be a strain on our relationship sometimes, particularly in the beginning, and now that I have children we do come across some issues. 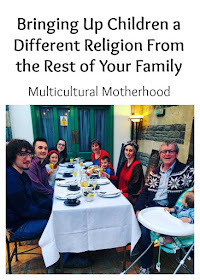 We have learnt not to talk too much about religion to each other but it is still important that I discuss some things so my family understand how and why I bring my children up in a certain way. 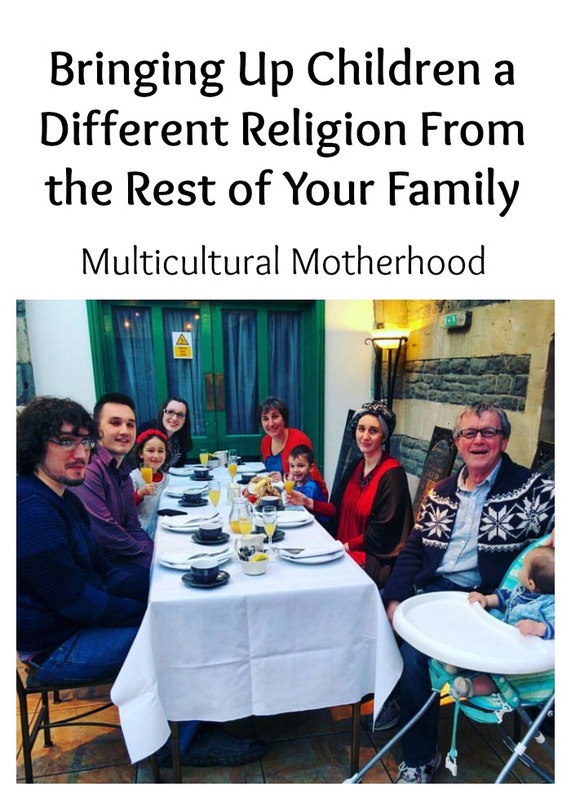 My family could not understand why I would give up pork or alcohol and eat halal food. After I had children, they would talk about it a lot. I was considered cruel for not allowing my children to eat sausages or bacon. The issues are not only with meat but gelatin too. In the beginning, I would sometimes find my parents giving my children a sweet or yoghurt without checking the ingredients. They have gotten a lot better at checking ingredients over the past few years but it has taken a lot of effort to get to this point. My daughter went through a stage when she was around 2 years old of wanting to wear a hijab all the time. My mother, in particular, did not like that at all and I remember her telling my daughter to take it off on some occasions. Everyone knew I was not forcing her to wear it, in fact, I did not encourage it at all at such a young age. However, to her, it was about dressing up like mummy. My daughter grew out of the hijab phase after a few months and now only wears it to Quran classes or the mosque. I hope she will wear it as a teenager and I dread to think of the issues I will have with my family when that time comes! This has been a really big issue in my family. They know Muslims do not celebrate Christmas but that does not stop them buying my children lots of presents at this time of the year. They think they will miss out if they do not have any. I have explained we get the children presents for Eid and they can do this too but this does not seem normal to them. I remember when my eldest was a baby, my parents actually wanted to take her to church for Christmas mass! Of course, I put my foot down and said no and that was that. They do still ask occasionally but they know the answer will always be no. My family talk a lot about the birth of Jesus at this time of year and tell the children the Biblical story of the nativity. I counteract it by reminding them of the Quranic version of events. It can be difficult, with scenes from the nativity displayed everywhere but we just have to remind our children of the truth as we know it. As Muslims, we do not celebrate birthdays as Islamically we should only celebrate the two Eids. My family find this difficult to accept. Why should we not celebrate birthdays? I remember my mother getting upset when I refused to throw big parties for my children on their birthdays. She felt they were missing out. We have compromised now and instead of a party, we often go for a family meal out when it is someone's birthday. I do not buy my children presents but my family do. Believe it or not, my mother seems to have quite an issue with my children learning Arabic. This is mainly due to the fact that one of the reasons we homeschool is so the children can go to language schools on both Saturdays and Sundays. She simply cannot understand why it is necessary for them to learn Arabic and read the Quran. She often claims it is not important and we should not be spending so much time on it. When I first became Muslim, I used to speak about Islam a lot and this caused a lot of arguments with my family. I have learnt that it is better not to discuss certain topics with them as it can lead to big arguments and no one wants to argue, especially when there are children around. It is important to discuss certain things in order to explain your reasoning for the way you are bringing up your children. However, I have learnt that sometimes it is best for me to keep my mouth shut. It can be hard to compromise when you do not want to go against the teachings of your religion. Therefore, you have to be very careful about what to compromise on. Make sure you are staying true to yourself and your religion, while allowing a bit of leeway to soften the blow of the things your family find difficult to accept. In order for your family to accept your religion and the way you are bringing up your children, it is important to be a good person. This will show them what kind of a person Islam teaches us to be. So be respectful to your parents at all times, even if they are sometimes disrespectful to you or your way of life. Be kind and show compassion. Forgive them if they have hurt you and do your best not to hurt them in any way. This will show them that bringing up your children with the Muslim faith is not something they should be worried about. Instead it is something that will allow them to grow into kind, helpful, respectful and compassionate human beings. There is one great advantage of bringing up children a different religion from your family, and that is, it teaches tolerance. We learn to be tolerate each others beliefs and lifestyles even if we do not agree with them. We learn are able to love and accept others for who they are. Learning about diversity and differences is definitely a positive thing and I hope it will teach my children to accept and appreciate the diversity we see all around us in society today. 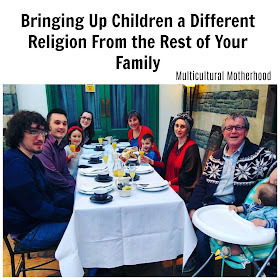 I hope this article has given you an insight into the difficulties that can be faced when bringing up your children a different religion from the rest of your family and I hope the tips will help you if you are in the same situation. 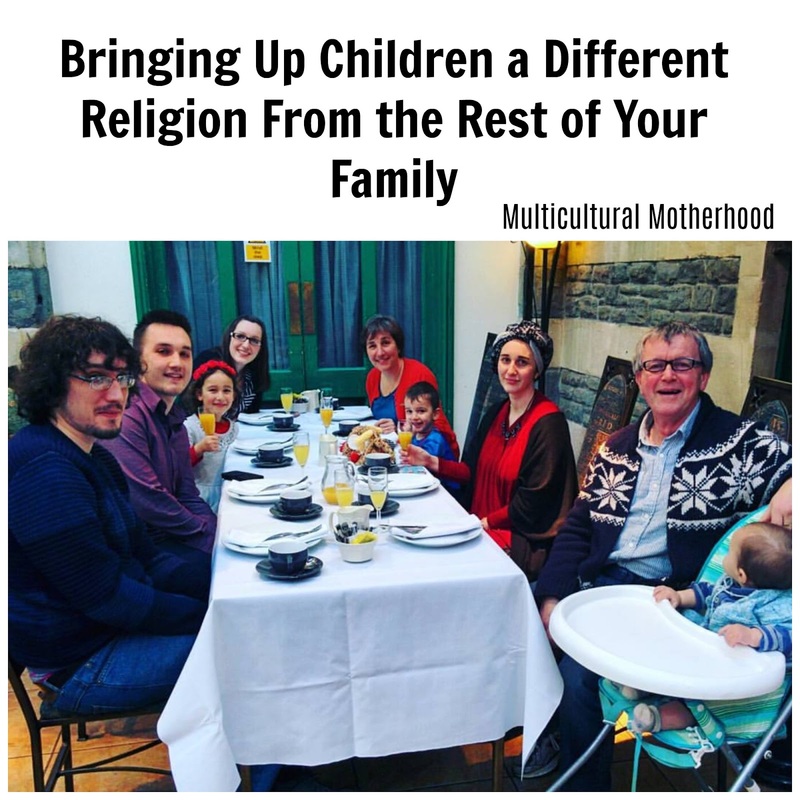 Do you bring up your children a different religion from the rest of your family? Do you have any tips to help?